Our Mission at Tails of the Forgotten Inc is to rescue, rehabilitate and rehome as many dogs in need as possible. Passionate about rescuing dogs we are dedicated to find them a permanent adoptive home. 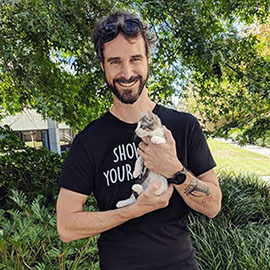 We are a very compassionate registered Non-profit Charity (dog rescue) based on the Gold Coast and we have been tirelessly rescuing little furbabies for nearly 2 years. We work with any and all organisations to save as many pups (young and old) as we can. We are completely volunteer based and receive money only from fundraising and adoption fees, that rarely cover vet and transport costs. We desperately need a little transport van to keep our babies safe when transporting from shelters to carers, adoptive homes and to vet appointments or adoption events. We have lots of fundraising gear that sometimes has to be transported in many cars to get to a destination, and including our adoptive dogs!! A mission. 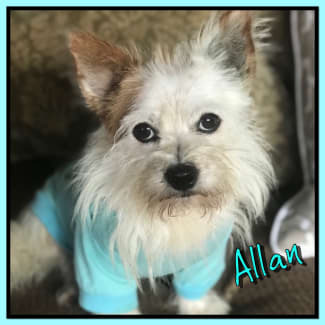 We have 7 permanent retirees that are not adoptable that need regular vet appointments, where a van to transport them in one go would be awesome. We have a great team that stretch our budget so well. But it's time to put our hands up and ask for help!! Yes!! We are reaching for the stars, but why not?! We know there a many passionate dog lovers out there that can't give their time but could help us out to get our dream!! PLEASE HELP by donating here! Our volunteers open their hearts and provide temporary foster homes for these dogs. We'd love to welcome more carers to the team. Our supporters help in many different ways. If you can assist with fundraising, admin, transport, caring, grooming, fostering, selling raffle tickets,or seeking donations, please contact us by private message on Facebook. If you would like more information about one of the dogs listed and are offering a forever home to one of them, please tell us about your family in an enquiry or use the private message on our Facebook page. Gordon is a 8 yr old Samoyed. He was surrendered to us, due to his barking (Samoyed trait) if they are left on their own a lot. And Gordon’s previous owners were both working full time. They didn’t have the time to give him the attention he needs. This boy needs an experience dog owner or ideally a person that has or had Samoyeds. 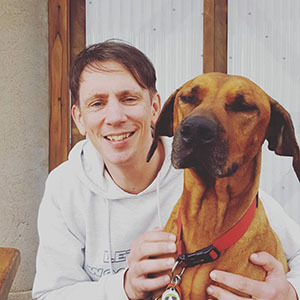 He is friendly with other dogs,cats, and children. 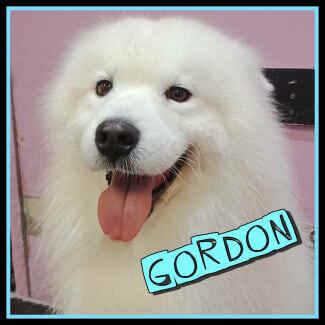 Gordon needs his people to be around to entertain him and love him. He just wants to be loved and smooched all day if he could. 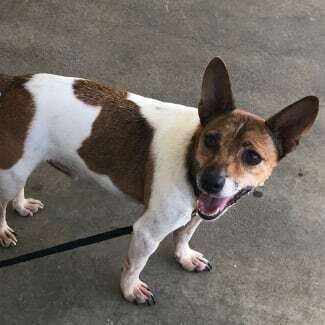 Adoption Fee -$650 He is at Veresdale Scrub QLD from Saturday. From now till then he is at Gilston on the Gold Coast. Little Simba is 11 and you wouldn’t know it. 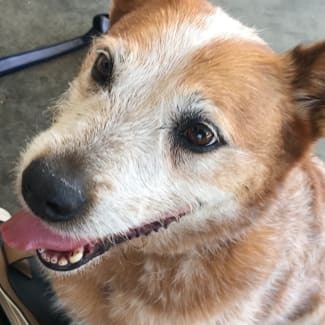 He has shared his life with Tia a 10 yr old red stumpy tailed cattledog. We would like to be able to keep them together if possible as they are so bonded. He is very go lucky but can become a little escape artist if he sees a opportunity. They have been around children but we recommend older if any. He has no health issues. He was surrendered to us or was going to be PTS by owners. Health and financial circumstances had made them have a thought?! But offered to let us find them a retirement home.